Tokyo [Japan], Feb.16 : The NEC Corporation has announced the launch of a consulting service called the "TMS Professional Service," which enables communications service providers (CSPs) to plan and implement strategies based on the analytics of their network data traffic. This service analyzes information provided by CSPs to detect the trends, characteristics and abnormalities in network data traffic. Based on analytic results, NEC conducts consultation under four subjects: network data traffic optimization, customer support, security diagnosis, and marketing. Tokyo [Japan]/Heidelberg [Germany], Feb.16 : The NEC Corporation has confirmed that Dr. Lindsay Frost, chief researcher, NEC Laboratories Europe, as chairman at the first meeting of the ETSI Industry Specification Group on Context Information Management (ISG CIM), co-launched by NEC and four other companies. The ISG CIM has already grown to 12 participating organizations. Its first general meeting decided on six work items in a stringent timetable to publish, within six months for public review, a draft specification for smart city context information exchange (see http://portal.etsi.org/CIM). 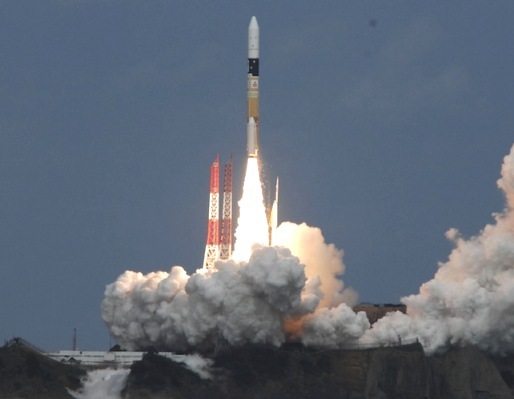 Tokyo, Dec 04 : Japan has successfully launched its " asteroid explorer" Hayabusa 2 on December 3, 2014, it has been reported. Mitsubishi Heavy Industries, Ltd. and the Japan Aerospace Exploration Agency (JAXA) launched the H-IIA Launch Vehicle No. 26 (H-IIA F26) with the Asteroid Explorer Hayabusa2 onboard from the Tanegashima Space Center. Tokyo, Sept 1 : Prime Minister Narendra Modi on Monday said that India considers Japan among its closest and most reliable partners. "I am delighted to be in Japan. After assuming the office of Prime Minister, I had taken a decision that my first bilateral visit outside South Asia would be to Japan. It is my great fortune that Prime Minister Abe gave me the opportunity to fulfill my desire within 100 days of my assuming office," said Prime Minister Modi in his remarks at the joint press briefing with his Japanese counterpart Shinzo Abe. Tokyo: As Prime Minister Narendra Modi promised speedy clearances for Japanese investments, ICICI Bank chief Chanda Kochhar on Monday said India can get billions of dollars of fresh investments from Japan. Kochhar, who is part of a high-level business delegation that has come here for Modi's first official visit as Prime Minister, said that ICICI Bank will play a major role in arranging funds for Japanese investments into India. The areas that can attract such investments include railways, smart city projects, biotechnology, clean energy, electronics and the overall infrastructure space, Kochhar told PTI in an interview here. Tokyo, Aug 30 : The JAL Group has announced the opening of its revamped JAL First Class Lounge at International Terminal of Tokyo's Haneda Airport, following the upgrade of Sakura Lounges earlier this year. The design of space in new JAL First Class Lounge features Japanese tradition in a modern way. Tokyo Japanese auto giant Toyota will start selling its first fuel cell sedan this financial year, with a price tag of around USD 70,000, the company announced Wednesday. The vehicles will be rolled out by March and beyond the home market during the summer of 2015, it said, in a move that will see the environmentally friendly cars available in the United States and Europe. 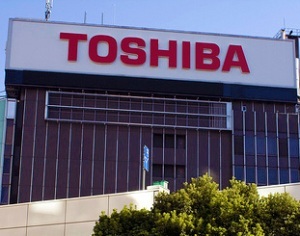 Tokyo, May 30 - Japan's industrial output in April dropped a seasonally adjusted 2.5 percent from the previous month, ministry of economy, trade and industry said Friday. It also downgraded the assessment of the production, which is the first time since September 2011, saying it "appears to be flat" compared to the previous month's phrase of "showing upward momentum", reported Xinhua. The index of output at factories and mines stood at 99.6 against the base of 100 in 2010, the ministry said in a report. Tokyo, April 23 : US President Barack Obama Wednesday arrived in Japan on the first leg of his four-nation Asian trip. Obama will stay here through Friday and will hold a summit meeting with Japanese Prime Minister Shinzo Abe with the focus on the US-led Trans-Pacific Partnership (TPP) free trade talks, Xinhua reported. The two nations are at odds over Japan's reluctance to remove its tariffs imposed on US agricultural products. The US has called on Japan to lift all tariffs on rice, wheat, pork and beef, sugar and dairy, which Japan sees as its key items, so as to conclude the free trade talks at an early date. Tokyo, March 14 - A quake measuring 6.1 on the Richter scale jolted southwest Japan early Friday, the country's meteorological agency said. The temblor, which struck at around 2:07 a. m., had a depth of 80km, Xinhua reported.